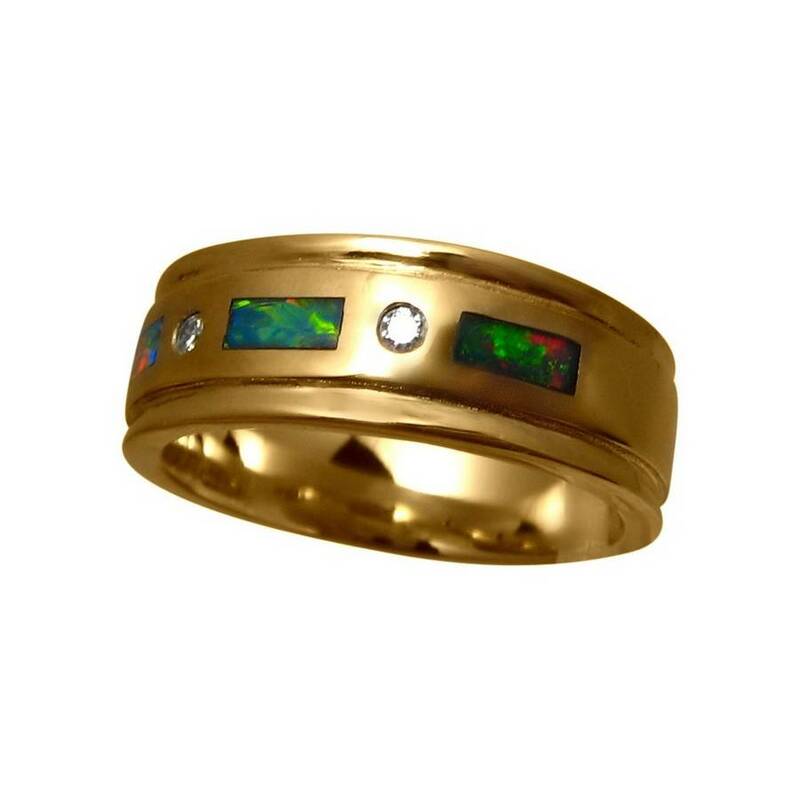 An Opal ring for men in a classic style that is sophisticated and elegant. 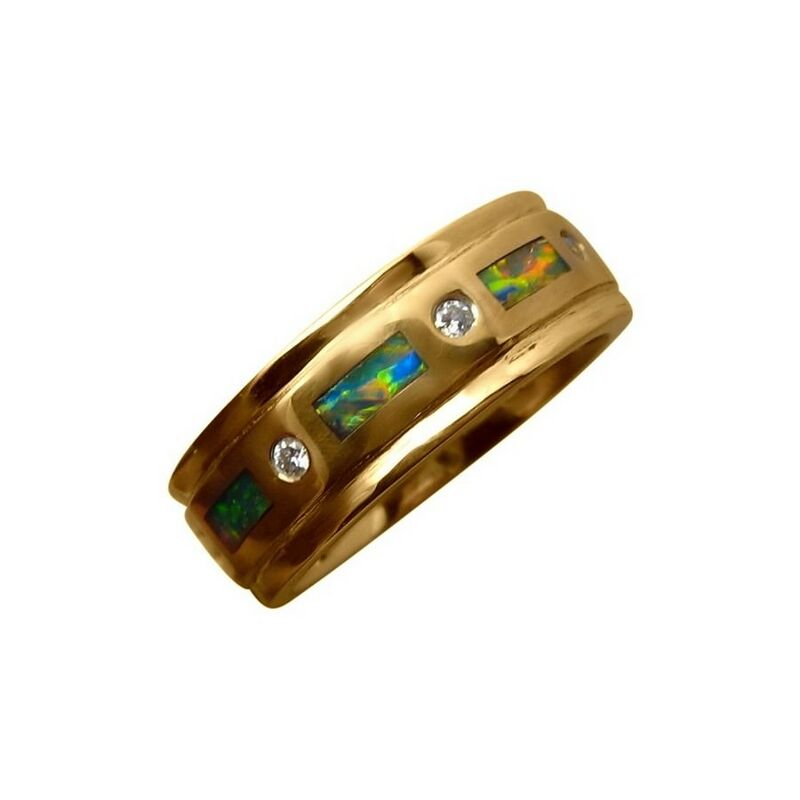 Crafted in solid 14k Gold, superbly inlaid with natural Opals and accented with quality Diamonds, it is an eye catching ring. 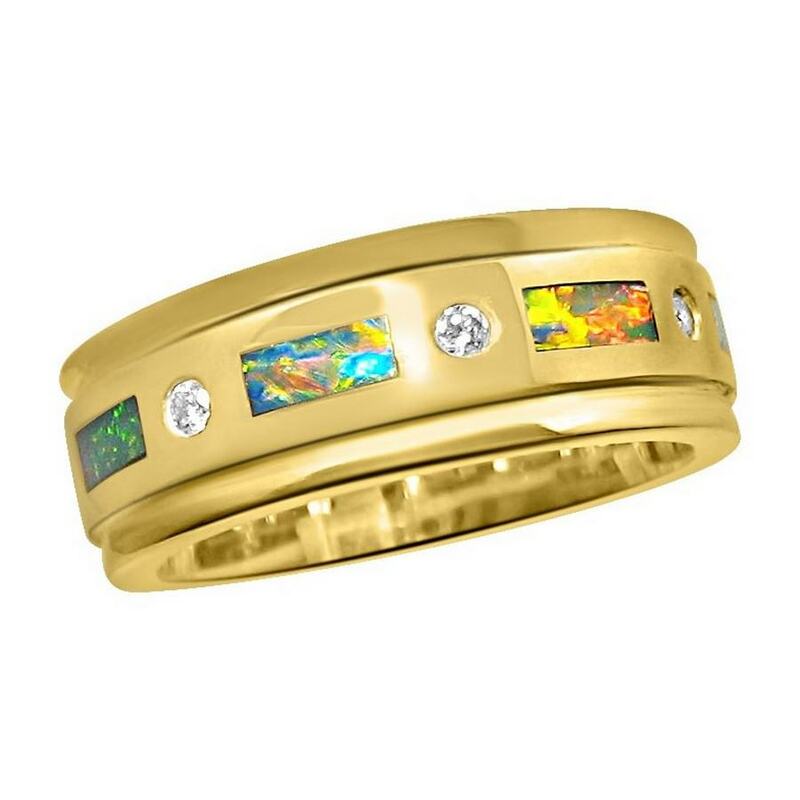 This mens Opal and Diamond ring with the 14k Yellow Gold band is 8.2 mm wide weighing over 15 grams. 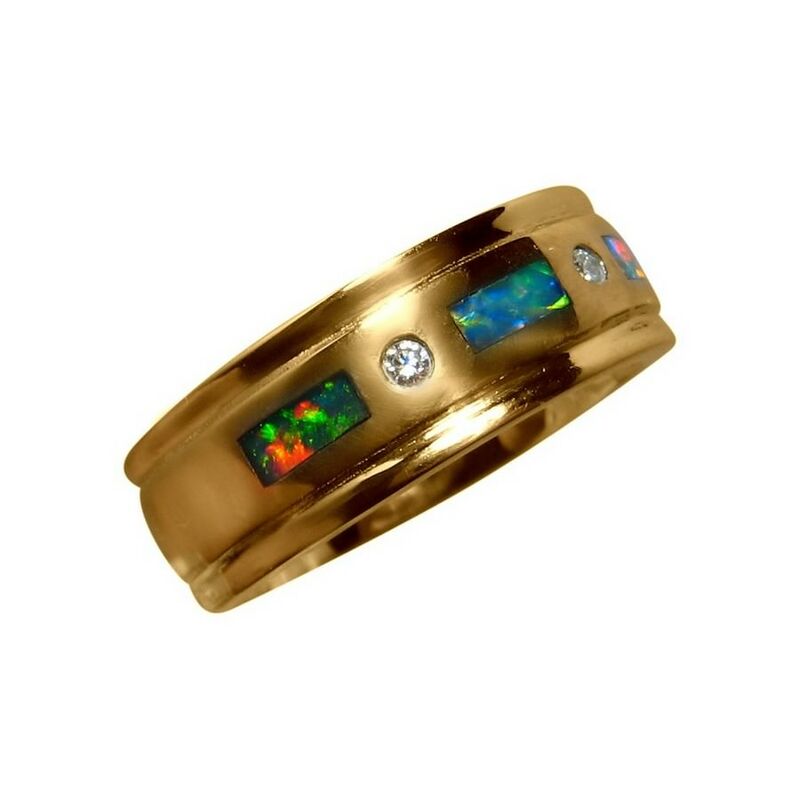 The ring is inlaid with four Gem Lightning Ridge Black Crystal Opals that display vibrant fiery colors and these are separated by three 1.6 mm bright white Diamonds that sparkle brilliantly. The video below will best show the play of color in the Opals, the high shine of Gold and the sparkling Diamonds. This quality Opal ring is Made to Order which will take about 14-21 days to make before photos are provided for your approval to ship. 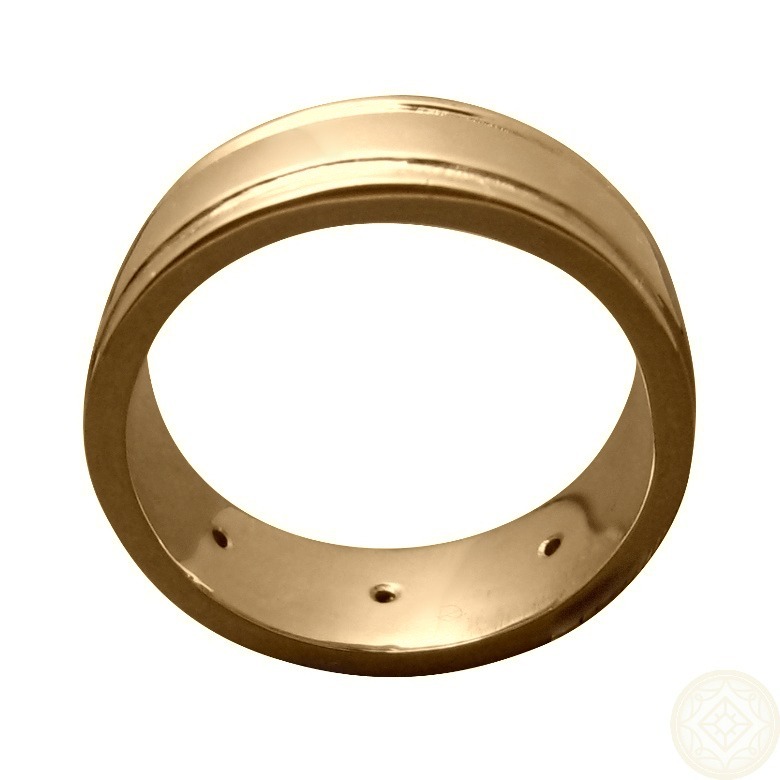 If you would like any changes to the ring such as larger or higher quality Diamonds, contact through this product for a no obligation price quote. Wow!! Wow!! Wow!!! I love it!!! Thank you!! !